According to their website, “Ingredient matter” to Elevation Burger. It’s more than a burger joint. Rather, it has a vision for a sustainable future (although the website doesn’t clarify how their food is “sustainably” prepared). We should buckle our seat belts as we experience an elevated product that promises to be both flavorful and good for the environment. So does it live up to the organic, sustainable hype? Yes… at the expense of our tastebuds. 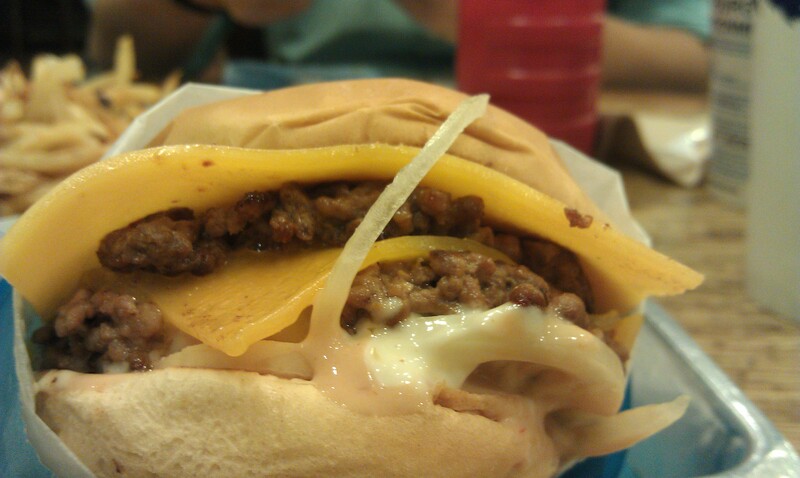 The standard burger is the Elevation Burger, which consists of two patties each featuring a slice of “real cheddar” cheese on top, couched between two sides of a squishy, white roll. Made from organic, grass-fed cattle, Elevation burgers lack some of the flavor that corn-fed cattle yield. However, they compensate with ample toppings of your choice. I selected raw onions, mayo, and elevation sauce (which resembles something in between In-n-Out’s and the Shake Shack’s). My dining partner felt the cheese overwhelmed the taste of the burger. “[The meat is] not very flavorful. They could use some salt and pepper,” he said. I didn’t dislike the Elevation Burger, but it’s definitely not in my top 10. As someone who frequently orders a double burger at the Shake Shack, I had no problem with finishing the entire burger on my own. I guess I must have liked it then, right? 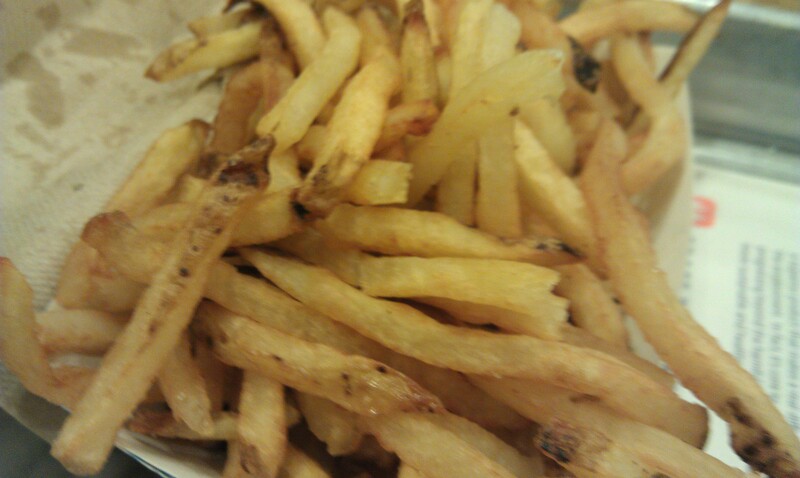 We also ordered some fries, which are cooked in olive oil. Thinly cut and soft, the fries don’t compare to those of the Shake Shack. (I’m drawing similarities and differences between Elevation Burger and the Shake Shack to illustrate Elevation Burger’s superiority or inferiority.) I think the crinkle cut fries of the Shake Shack — cooked in trans fat free oil — taste more flavorful and crunchy than those at Elevation Burger. Because we had a Groupon, we tried to order as many menu items as possible to get our money’s worth. Consequently, we ordered a key lime milk shake made with vanilla ice cream, the overpowering flavor of the shake. “Do you taste key lime at all in this shake? I asked MDP. “Not really, but there might be a kick of it at the end.” I can’t be sure that the Elevation Burger staff member, who was charged with making my shake, even included any key lime. All this to say, I wouldn’t recommend the milkshake, unless, of course, you really like vanilla ice cream. At the Shake Shack, the milkshake features distinct flavors and never leaves the customer questioning what it tastes like. Situated on bustling 14th Street, near 6th avenue, Elevation Burger may be the go-to burger in this neighborhood. I wouldn’t be surprised if they stuck around, but I’m not holding my breath. MDP asked me if I’d go to Elevation Burger again. The answer is: probably not.